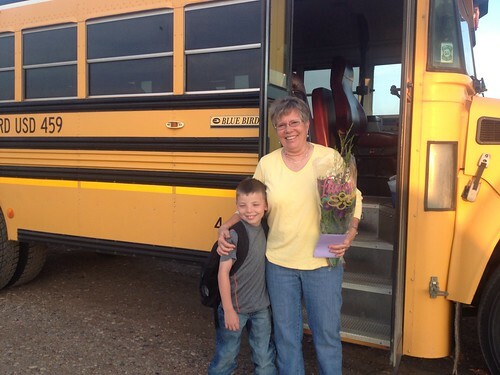 My mother-in-law has driven the school bus for 35 years. God bless her. There are gold stars for people like that; special places in Heaven for that kind. She retired today. She deserves a few lazy mornings. And my son thought she deserved flowers on her last day.